NEW DELHI: The country witnessed a spree in gold buying, with unorganised market in the yellow metal making a killing, with inflated cost. The government’s decision to ban Rs 500 and Rs 1000, people realised will have bearing on the current wedding season spending, mainly gold buying. “People were willing to pay extra cash to buy gold, as they found it safe bet to hold on to unaccounted cash,” said a jeweller in South Delhi. Meanwhile, the Mumbai Jewellers Association Vice-President Kumar Jain said the prices are soaring in the domestic market and due to demand-supply gap gold is being sold at a higher premium. “Gold price is ruling at Rs 31,900 level per 10 gm, however, in the market gold is sold at a premium of Rs 10,000 per 10 gm taking the total price to over Rs 40,000 per 10 gm,” said All India Gems and Jewellery Trade Federation Director Ashok Minawala. According to reports from across the country, the business were substantially high, went up around 200% last night. “On an average day, the industry does a business of around two tonne,” said Minawala. Since a huge amount of transactions in gold remain unreported, it helps in investment and consumption of black money. Meanwhile, it was a dry day for jewellers on Wednesday due to the demonetisation of high value notes. Many shops across South India have pulled down shutters and the sales was down by 60 per cent. “Many of our shops in Kerala and Tamil Nadu remained closed on Wednesday. The sales were down. Considering the prevailing price of the yellow metal it is impossible to buy gold without Rs 1000 and Rs 500 notes. Most of the people were not willing to purchase through online channels,” said B Girirajan, managing partner, Bhima Group. 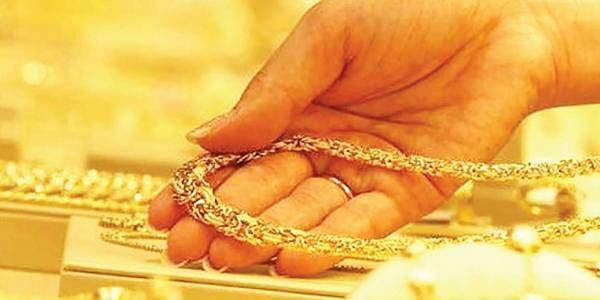 There were reports that there has been a surge in the prices of gold in the black market.